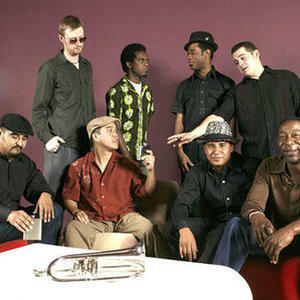 Hepcat are a third wave ska band formed in southern California in 1989. Their soulful harmonies and mellow rhythms were unlike those of contemporaries and more akin to musicians from the heyday of 1960s jamaican ska, also referred to as the first wave. Hepcat's debut album, "Out of Nowhere" was released in 1994 on New York-based ska label Moon Records. Two years later, they followed it up with "Scientific" on BYO Records. Their soulful harmonies and mellow rhythms were unlike those of contemporaries and more akin to musicians from the heyday of 1960s jamaican ska, also referred to as the first wave. Hepcat's debut album, "Out of Nowhere" was released in 1994 on New York-based ska label Moon Records. Two years later, they followed it up with "Scientific" on BYO Records. In 1998, after signing with Epitaph Records subsidiary Hellcat Records, they released "Right on Time," scoring a modest hit with the swinging "No Worries" and scored a spot on the Vans Warped Tour. 2000 saw the release of "Push n' Shove," their first album without founding members Raul Talavera and Alex D?sert, although the latter appears as a guest vocalist on two tracks. The band went on indefinite hiatus after 2000, and no new material has surfaced since. Trumpeter Kincaid Smith formed Soul Traffic, a five-piece funk band. Drummer Scott Abels has played with the Rancid side project Lars Frederiksen and the Bastards and the southern California reggae act The Aggrolites. Vocalist Alex Desert has had a successful career in film and television, appearing in the movies PCU, Swingers, and High Fidelity; and the television show Becker. In early 2004, a remastered version of Out of Nowhere was released with two additional bonus tracks, an early version of "Nigel" and "Club Meditation," both of which appeared on their first single. Occasionally, Hepcat reconvenes to play a few shows a year in the California area. Often, this lineup is that which performed on "Scientific." They take their name from a term for a 1940s-50s jazz musician.